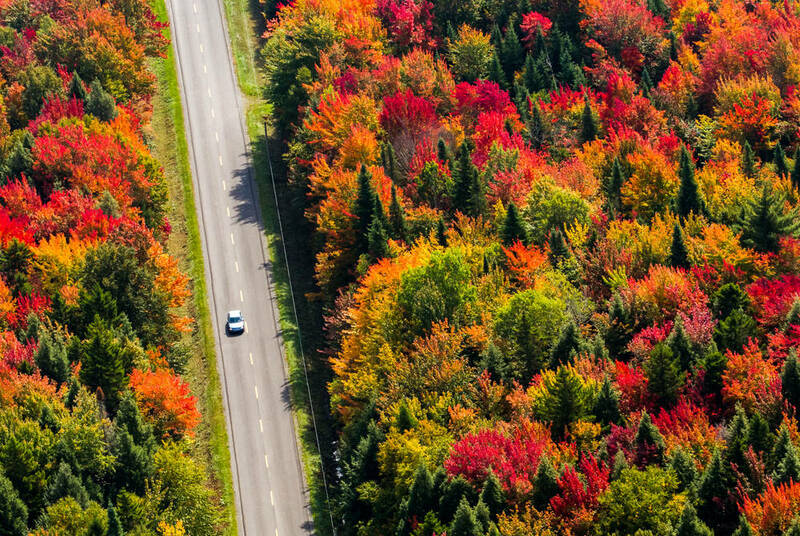 Canada’s eastern provinces – Ontario and Québec – are blessed with a unique rural beauty and a culture steeped in the intertwined histories of Europe and North America. And, this tailor-made loop takes in all of the regions’ highlights, departing from skyscraping Toronto, bound for the Gilded Age mansions of the Thousand Islands and luxury stays among the French beauty of Montréal and Québec City. Then, after contrasting Ottawa’s Gothic Revival architecture with the wilds of Algonquin Provincial Park, you’ll arrive into Niagara to compare its headline-grabbing falls with its idyllic, wine-country surrounds. 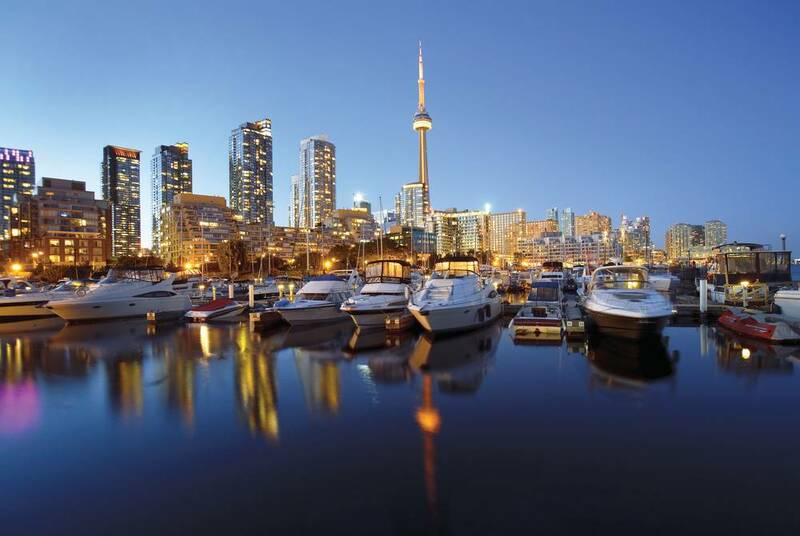 Begin your trip in style with complimentary airport lounge access before departing on a daytime flight to Toronto. On arrival, make your way to handpicked accommodation; all of our options are sited in the city centre, ideally poised to explore. 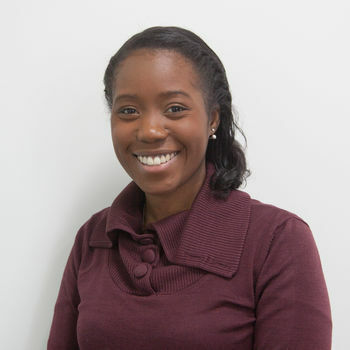 There’s something for every taste here, from the cutting-edge architecture of the Royal Ontario Museum and the Science Centre to the city’s superlative dining scene, predicated on its unique cultural mix. We particularly recommend taking the glass-fronted lifts to the top of the CN Tower for unrivalled views across the city. Picking up your hire car, drive east out of Toronto, tracing the shimmering sweep of Lake Ontario to arrive into Kingston. Here, you’ll have some time to drive out through the heritage towns of Price Edward County to stern Fort Henry – a national historic site that dates to the early 19th century. Alternatively, perhaps head out on a cruise along the St. Lawrence River, weaving through the Thousand Islands where rocky islets are dotted with bright verdure and historic mansions. Then, in Kingston itself, you’ll stay right among the verdant gardens and 19th-century limestone halls of what was modern-day Canada’s first capital. 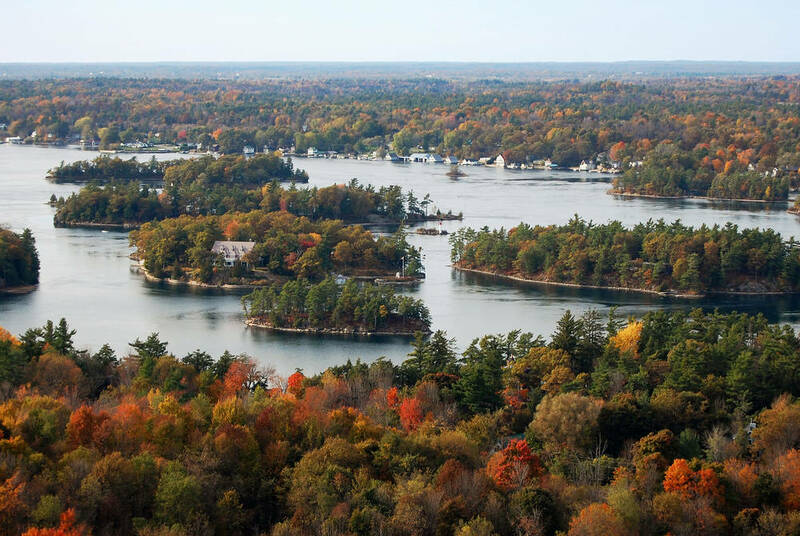 If you didn’t see the Thousand Islands yesterday, today’s drive to Montréal will bring you among their vast, tranquil lakes and thickly forested outcrops. Then, once arrived, you’ll have plenty of time to wander the city’s cobbled streets to take in its delightful French influence. Terrace cafés spill out onto pavements, 18th-century façades rise in ornate flourishes and the magnificent Basilique Notre-Dame is just a tip of the iceberg in terms of heritage churches. Don’t also miss out on the city’s famed gourmet delights, with that famous poutine and artisanal bakeries that serve up smoked-meat sandwiches. 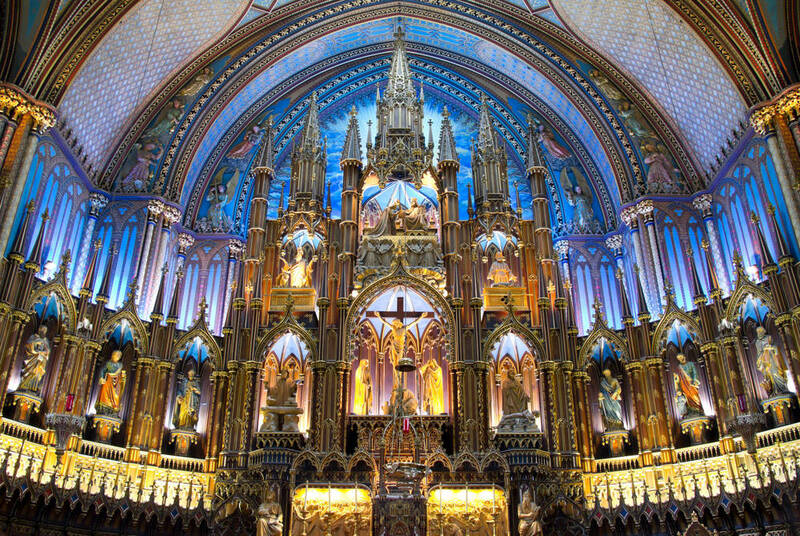 Depart Montréal and continue northwards, stopping along the way at Cap de la Madeleine – Canada's great shrine to the Virgin Mary. Then, Québec itself is Canada’s oldest and only remaining walled city and your base for the next two nights. 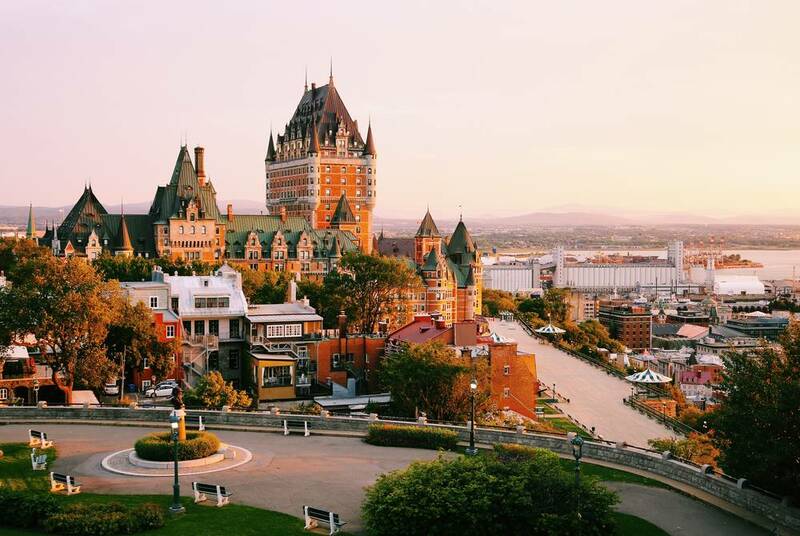 With its winding flagstones, café scene and the imposing Chateau Frontenac as its centrepiece, the old city – a UNESCO World Heritage Site – is a joy to explore on foot. And, for those that visit in winter, there's easy access to a whole host of exciting, snowbound adventures. Snowmobiling and husky sledding are two particular highlights, while North America's only ice hotel – Hôtel de Glace – is within easy reach. Sweeping back along the mighty St. Lawrence River, you’ll head back west to Ottawa. 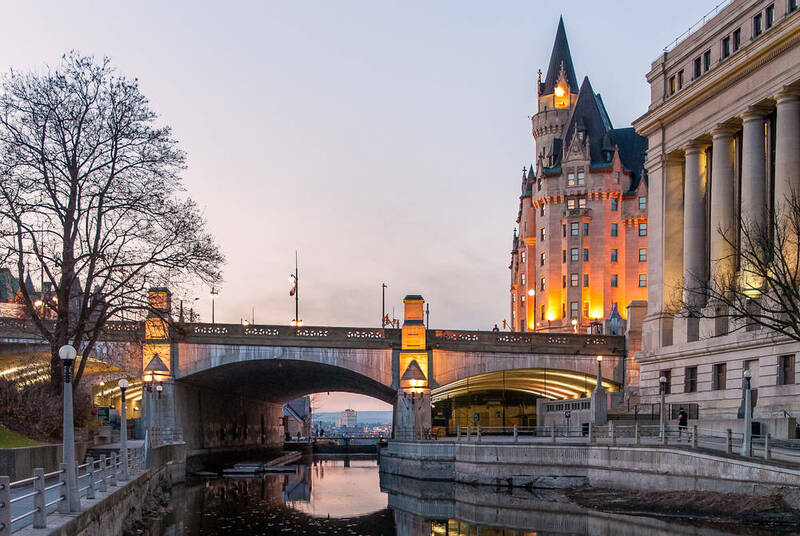 You’ll have two days to explore the Canadian capital, taking in the Gothic-Revival grandeur of its parliament buildings as well as a host of excellent museums. The outstanding National Gallery is a special favourite, home to works by such artists as Francis Bacon, Andy Warhol and Salvador Dalí. 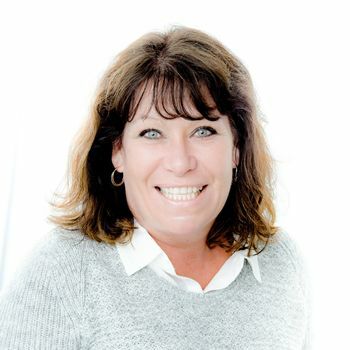 To bring it all to life, contact your consultant about arranging an expert-led tour, bringing you right along the Rideau Canal – Ottawa’s pretty main waterway. 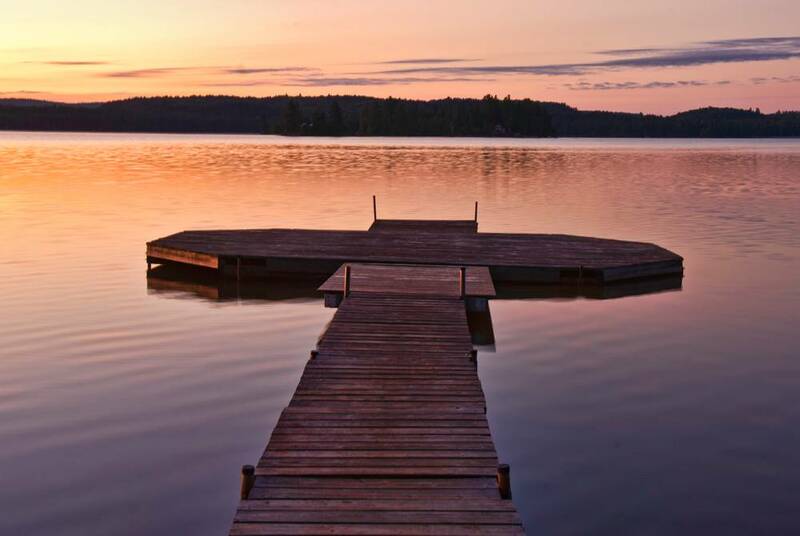 Today you’ll head out into the great Canadian outdoors with a scenic drive into the Algonquin Provincial Park – a favourite escape among holidaying Torontonians. Here, glassy waterways wend lazily, old-growth forests stand unspoilt and great antlered moose wander free. Unsurprisingly it’s a paradise for hikers and canoeists, with options for seasoned adventurers and gentle daytrips alike. You’ll return each day to your delightfully traditional lakeside resort, perhaps to enjoy a spa treatment or hot-tub soak. Today you’ll be treated to one of North America’s most impressive sights. Driving out from Huntsville, you’ll pass over the cragged beauty of the Niagara Escarpment before reaching the falls themselves. 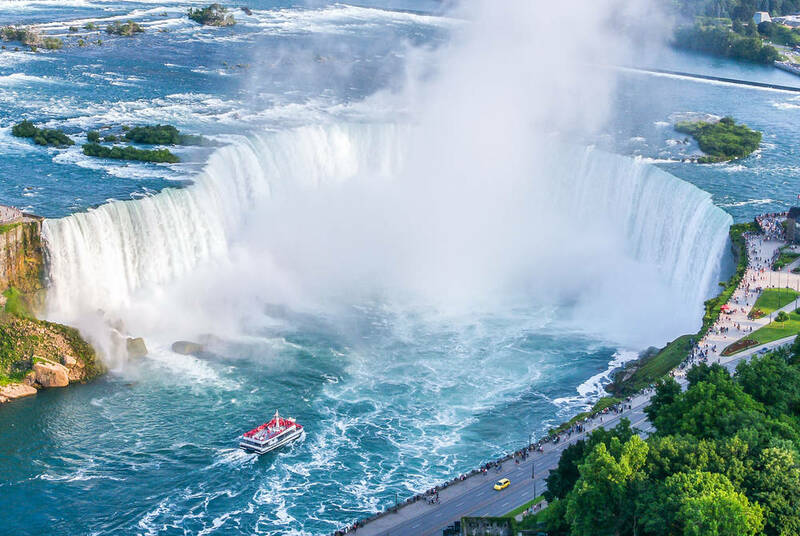 There are many ways to take in the splendour of Niagara; perhaps head up for a bird’s eye view from a helicopter or cruise out right to the face of the falls for a spectacular appreciation of their cascading might. 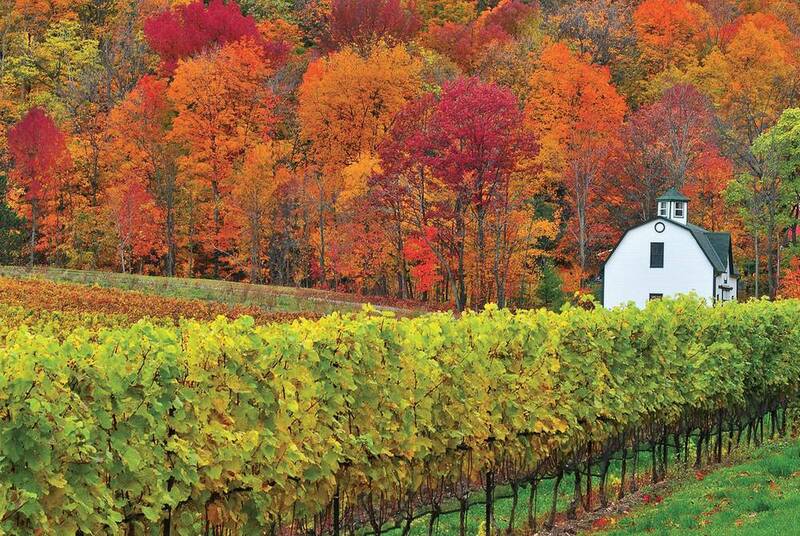 There’s also Niagara-on-the-Lake, a quaint town surrounded by a series of innovative wineries. Returning to Toronto through Ontario’s fruit-growing region, drop off your hire car at Toronto airport for your overnight flight home. car hire (from day 3 to day 13) and a self-drive information pack.